A drink-driver who crashed into and killed a dog walker has been jailed for two years. Ann Waters, 64, was struck by a Vauxhall Mokka driven by David Brightman, 32, in Newport Pagnell, Buckinghamshire, on 6 April 2018. She had been walking with her daughter on Westbury Lane at about 20:00 BST. Brightman, of Heaney Close, Newport Pagnell, was arrested at the scene and admitted causing death by careless driving after drinking. 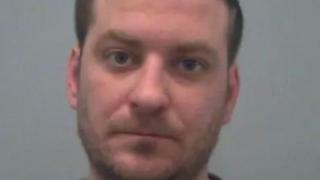 He was given a two-year jail sentence and disqualified from driving for four years at Aylesbury Crown Court. Sgt Darren Brown said: "My thoughts go out to the family and friends of Ann Waters. "Too many people continue to be complacent about the realities of the risks of causing deaths and serious injuries by impaired driving. "Our message is simple - don't mix drink or drugs with driving, they may stay longer in your system than you think and the consequences can devastate all those involved - it's not worth the risk."